This is an epic play written to be performed by children. It covers ten thousand years in the history of the American Indians and the European colonists who began to settle in the Americas in the 16th century, and its stage takes in Peru, Mexico, North America and the great rivers. 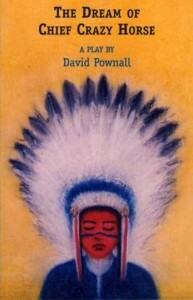 It supplements history and geography lessons in a vivid and fascinating way and explores the American Indian’s place in popular culture.